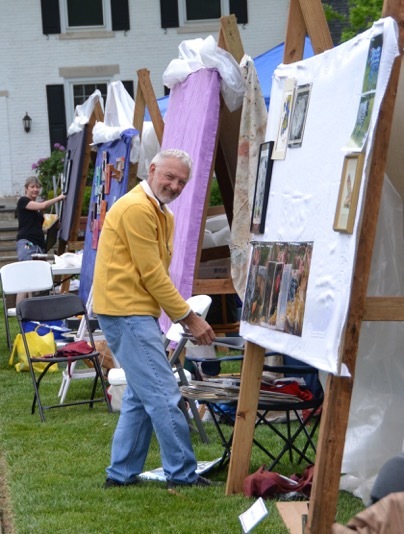 Hopewell Valley Arts Council will once again be a big part of Pennington Day and the “arts takeover” of Howe Commons! A bright, colorful “tree” made by community organizations and residents of all ages. A crowd-created collage made during Pennington Day. And the ever-popular Artists Walk. 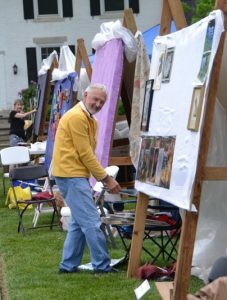 The Hopewell Valley Arts Council will once again stage a showcase of local art, featuring the talents of professional and amateur artists, as well as the imagination and creativity of community members. 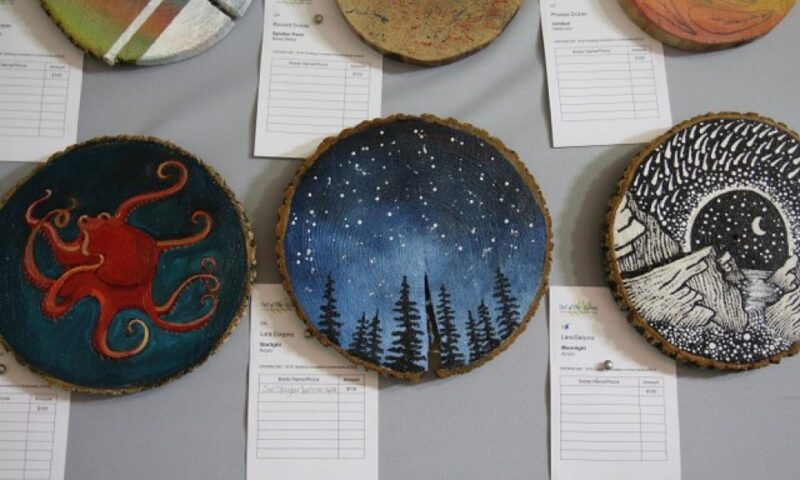 Continuing the organization’s multi-year—and green—focus on “The Art of Upcycling,” much of the art on display will be created from discarded materials and junk. The returning “Art Walk” exhibit will once again feature a diverse array of artists and their works. Some artists will be on hand to sell their work; others will be creating art on site and sharing their creative process—and conversation—with visitors. This will be the fourth year the Arts Council will anchor the artful takeover of Howe Commons, the lawn in front of the Pennington Professional Center at 65 South Main Street in the heart of Pennington. This area will also feature musical performers throughout the day on the Commons stage and a “food truck plaza” that will provide plenty of tasty and interesting food right at hand. While the Pennington Day Kid Zone down the street provides lively entertainment for families and kids, Howe Commons will provide an area for attendees to hang out, listen to tunes, grab a bite to eat, visit with friends and neighbors and get their creativity on. The Hopewell Valley Arts Council will also have information on hand about their upcoming “get smART Luncheon Learn”, to be held at Princeton University’s Prospect House on June 16. This event will feature a private catered lunch in the historic and elegant home of former Princeton University presidents, followed by a choice of presentations by three renowned speakers on the topics of photography, gardening and landscaping, and politics and neuroscience. Be sure to stop by the Arts Council booth at Howe Commons to learn all about it and get your tickets. You can also become a member of the Arts Council!